Prime is a complete ERP solution for food distributors that will help streamline inventory, quickly create orders, and improve customer communications. Improve your entire order-to-customer-to-cash cycle, with efficiencies gained through functionality built specifically for the needs of food distributors. Prime builds on the industry leading Cloud ERP platform of Acumatica to address the unique needs of food distributors. 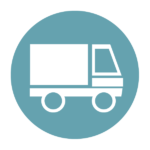 Since weight and quantities vary tremendously, a food distribution program needs the ability to track the weights of products throughout the delivery and distributor cycle and tie those to the ordering and accounting systems. Prime gives you the ability to use different measures for an inventory item so that you can quickly and easily stock by piece and price by weight. Prime software is interfaced with a recognizable name in foodservice, BFC’s Dakota WMS. BFC provides advanced selection and warehouse management tools using voice or scanning and enables full FSMA compliance with their built in production control module. Create customer-specific routes that consist of one or more trips. When entering an order, the next available trip for that order will be automatically selected based on trip order cut-off day and times. The ship date will be set for the next available trip and orders placed after the cut-off time with the appropriate ship date will all be automatic as well.